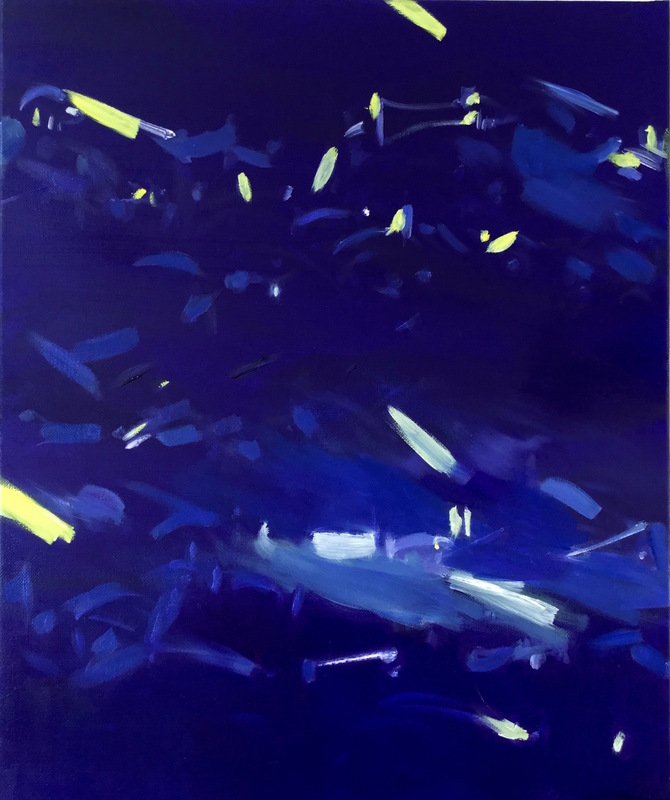 Many of Zoë Kronberger’s recent paintings are informed by being in the mountains at twilight in winter, when the temperature drops from bracing to unnerving and the last few skiers swoop for home, their ski edges rasping on the hardening, abandoned pistes. “I’ve seen it that colour, when the light turns,” she says of the purplish-blues that suffuse the ground, air and sky, or of the crimson glare of the sun as it sinks through the clouds, devoid of the tempering effects of atmosphere at lower altitudes. Elsewhere, an artificial light may shine through the gathering blizzard: perhaps the powerful headlamp of piste-tractor toiling overnight; or the last hallucinations of a hypothermic brain. For Kronberger, painting is the physical act by which she channels specific experiences but also reaches into a more shadowy unknown: the precipitous zone in which the artist engages the material world to transform the particular and the personal into the general and aesthetic. 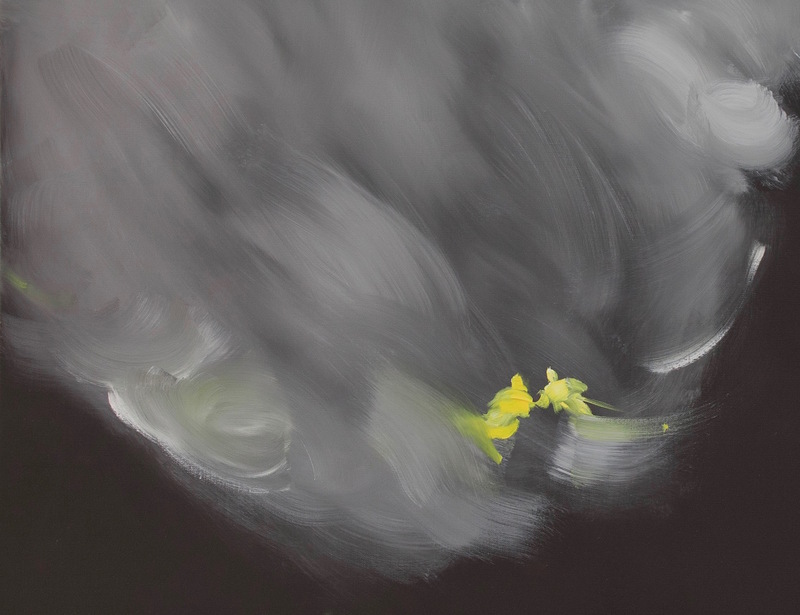 Paint permits the representation of memory but also the creation of something entirely new. The work is joyful, but also dark. Skiing is but the apparent subject, the particularity through which she communicates her perceived truth about being and doing in the world – a truth that, in the nature of art, is both universal and unique to who she is and what she has felt and done. In Breath, a freezing squall of whitish strokes bears down on the pair of yellow figures whom we view as if from the valley below. One of them rides a little kicker at the base of the storm. Or are they just wisps of imagination and memory, private and evanescent like upward exhalations into the night sky? Like a sharp gasp at twenty degrees below, Zoe Kronberger reminds us that our bodies are the edges of the world, and that we are merely temporary arrangements of atoms poised in space. She shows us that these facts are neither simply to be enjoyed nor feared, but rather embraced and expressed.